Continue reading >> "Biotech industry retreats from Europe – time to move farming on "
Continue reading >> "Several European governments opened door for highly toxic GM maize"
Block new toxic maize imports to enter the EU! On 11 July representatives of national governments will decide if the EU authorise imports of complex GM crops, called smartstax. That means that a Monsanto maize that produces 6 different toxins and resists herbicides glyphosate and glufosinate can enter our food chain. Continue reading >> "Block new toxic maize imports to enter the EU!" The organisations sound a clear warning that a complex arsenal of herbicides would also be needed in the EU to delay weed resistance if any of the 14 herbicide resistant crops in the EU authorisation pipeline are ever approved – raising serious concerns about the overall impact on health and the environment caused by herbicide resistant crops. 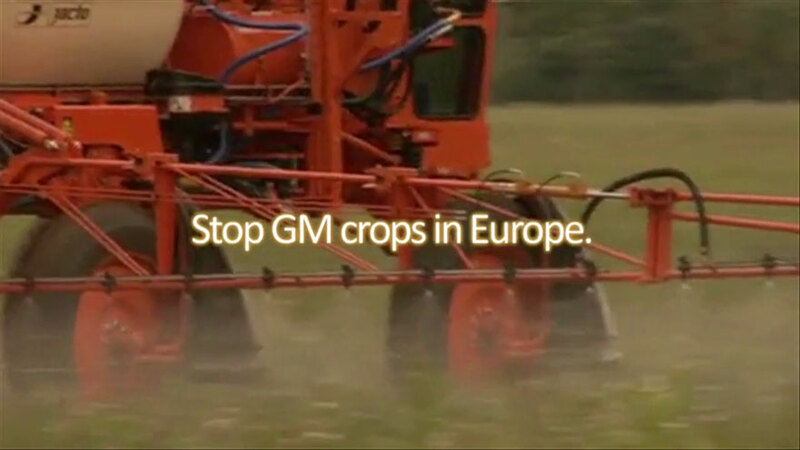 Continue reading >> "EU Must Reject Monsanto’s herbicide resistant GM Crops - New briefing from GM Freeze and Pesticide Action Network UK"